On November 6, 2018, the citizens of Missouri approved Amendment 2, legalizing medical marijuana. Missourians who wish to open medical marijuana dispensary facilities, cultivation facilities, testing facilities, marijuana-infused product manufacturing facilities, or those who wish to apply for an ID card allowing medical marijuana use, may apply to begin on (or before) July 4, 2019. The Amendment directs the Department of Health and Senior Services to issue rules, forms and instructions for those applications by June 4, 2019. In addition, the owners, officers, managers, contractors, employees, and other support staff of licensees will have to submit their fingerprints for the purposes of a criminal background check. The fee for a cultivation license application is $10,000, and if approved each cultivation facility will have to pay a $25,000 annual license fee. 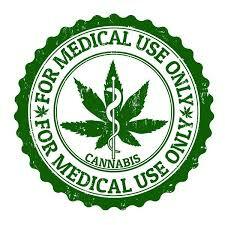 The application fee for a dispensary license is $6,000, and the annual fee for a dispensary license is $10,000. The application fee for a marijuana products manufacturing license is $6,000, and the annual fee for a manufacturing license is $10,000. There must be at least two marijuana testing facilities in the state (testing facilities cannot be owned or managed by a person or entity that owns or manages a dispensary, cultivation, or marijuana manufacturing facility). Although the Amendment directs the Department to issue more licenses if necessary to allow sufficient patient access to marijuana, we anticipate that the application process will be intensely competitive. In addition, because marijuana remains illegal federally, it may be difficult for marijuana companies to gain access to banking services. The landscape in this area is evolving rapidly, and Kennyhertz Perry remains at the forefront, advising both banks and medical marijuana businesses on compliance issues. Kennyhertz Perry advises clients on a wide range of medical marijuana business formation, compliance, and regulatory matters. Kennyhertz Perry has broad experience assisting clients with business formation and compliance in highly-regulated industries. Kennyhertz Perry partner Braden Perry spent time as a Senior Trial Attorney with the Commodity Futures Trading Commission and is well equipped to assist with the banking and other financial issues related to the medical marijuana industry. Kennyhertz Perry partner John Kennyhertz is former in-house counsel at a private equity firm and has structured transactions for very small and very large clients alike. He has substantial experience in highly-regulated industries such as online lending, and industries with rapidly-evolving regulations, such as cryptocurrency. He provides medical marijuana operational and compliance counseling and offers advice on appropriate modifications of transaction structure and documentation.